Llama vs. Alpaca: Are they different? A camel is animal that a person can spot miles away. Even a young kid can spot a camel because of its distinctive physical appearance. A camel is a medium sized animal with one or two huge mountain like humps on the top of its back. A camel is, well, a camel no argument there, but in South America, there are two types of small camels referred to as the Llama and alpaca and they are usually mistaken for one another by foreigners because spotting the differences between the two is no easy task. Let’s divulge deeper into these two animals to get some sense of how to differentiate the two. Compared to the normal camels we are accustomed to see, the llama and the alpaca are two types of camels that are really small when compared to the others. At an average, the llama is around five and half to six feet tall from head to toe and their average weight is about two hundred and eighty pounds to four hundred and fifty pounds. On the other hand, an alpaca is relatively smaller than a llama as they roughly weigh only half of what a full sized llama does and are probably around three feet tall, head to toe. Since the llama is a bit large in physicality, so people in South America use these breeds as guard dogs, but that’s just for show to scare people. Getting a guard dog to do this sort of job is still highly recommended. Basic uses people have for these two camels. 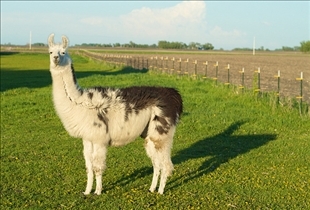 The large size a llama is widely exploited in the country of South America. As I said above, one of the uses for a llama is for it to be used as a guard dog but to keep things safe, people should stick with the real thing, after all, these guys really aren't that violet. Since the llama is quite large, they are ideal to be put to use as packs to carry loads of whatever cargo you want to put on then. These animals also have an immense strength which makes them also ideal to be used pull carts. The alpaca on the other hand is the more fragile of the two camels. Since they are smaller and weigh lighter than the llama, they are not used for any cargo load nor do they pull any carts. However they have the same uses to us like sheep. 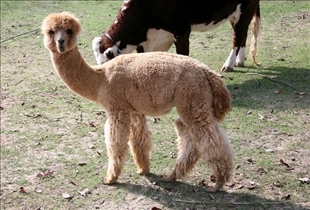 Alpaca are bred for their hair fibers which is widely used for knitting various things just like wool. In South America, natives also have a hard time distinguishing differences between the two camels. Well, let me start with something very obvious that should be able to help you out. Llama’s in general like their independence, they do not thrive in herds and like to keep to themselves. Alpaca’s on the other hand are more of a herd type of bunch. They like to keep close with their kind and must be near their herd mates. You can try to also spot small features like their ears. An alpaca’s ears are shaped in a straight way where’s a llama has a banana like shape ear. Llamas and alpacas are two types of camels that are located in South America. Llamas stand at around five to six feet tall from head to foot whereas an alpaca is just half of that. A llama's maximum weight is at a staggering four hundred and fifty pounds while an alpaca can hardly manage half of that. Llamas can be described as skilled laborers as they are able to withstand cargo loads on their back and alpacas pure reason for breed is for its hair fibers. Gecko vs. Lizard: Seen a Talking Lizard?